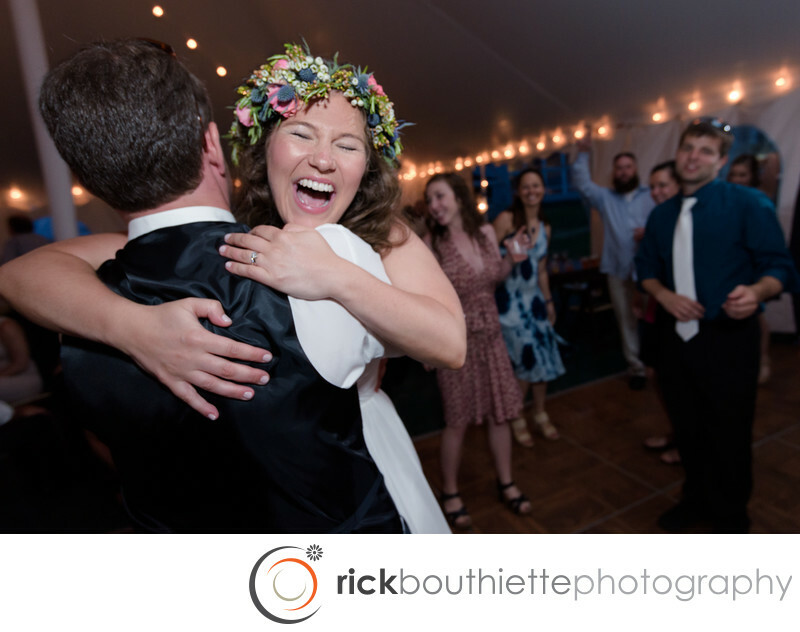 Emilie was one of the happiest and expressive brides we've seen. She had a smile from ear to ear from the time we arrived until the end of the day, She danced with her brother and there were huge hugs at the end. Emilie + Jack's church wedding was followed by a seaside reception at the Seacoast Science Center in Rye, NH. The lawn area is bounded by the Center, the woods, and 600’ of oceanfront shoreline. The seaside vista includes four different lighthouses, the Piscataqua River, and the Isles of Shoals. A small gazebo in the back corner of the lawn and a large piece of driftwood on the opposite side of the building have proven to be favorite locations for wedding ceremonies.